The breakdown of any family relationship is traumatic. 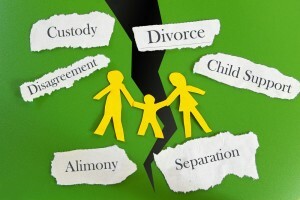 In addition to the emotional trauma, there are financial, legal and domestic issues to be dealt with. Sometimes the problems can seem overwhelming. Sometimes the emotional trauma is so great it seems impossible to contemplate dealing with the practical issues that arise-money, maintenance, property, custody, access and visitation rights. We understand this. Our aim is to help you through this difficult time by discussing your particular situation with you in detail, looking at your specific needs and suggesting possible options to enable you resolve conflicts and make arrangements to accommodate the realities of your changed situation. It requires a sensitive and sympathetic but practical approach, tailored to your particular needs. We believe in a constructive, no- nonsense approach to negotiation and where settlement of the dispute is not possible, we will advise and guide you through the Court Process. In addition, we now offer expertise in the developing area of collaborative law. When emotions run high, it is essential to have objective, reasoned advice- we can provide that advice.